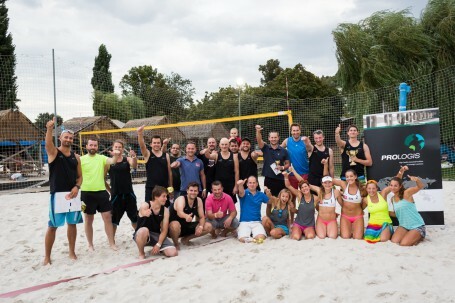 PRAGUE (21 September 2015) – Prologis, Inc., the global leader in industrial real estate, held its third annual beach volleyball tournament on Thursday 17 September at Žluté lázně along the Vltava River in Prague. Business partners and customers joined members of both the Prologis Czech and Slovak teams for an afternoon of friendly competition and cheering colleagues. More than 40 guests enjoyed delightful weather and delicious food and drink amidst pleasant business conversation. Of the 14 participating teams, DHL came in first place, followed by a combined team of Okury Consulting and Special Service International in second place and DB Schenker in third, while everyone stepped up their game to challenge a pair of professional volleyball players. Prologis is one of the leading providers of distribution facilities in the Czech Republic with more than 952,000 square metres of logistics and industrial space (as of June 30, 2015).